I Know Why The Aliens Don’t Land! I don’t know if we were breaking any new ground but it sure felt like we were. We certainly achieved the unthinkable in ufology: We garnered only positive mainstream press coverage. No snickering. No sneers. They took us seriously because we didn’t take ourselves seriously –and because we were serious! It’s a tricky balance to be sure. 2007 saw the first Culture of Contact festival. We took over Manhattan’s East Village lollapalooza style with live music at Lit Lounge and classic science fiction films at The Pioneer Theater, followed by guest speakers who had to tailor their speeches to the theme of the film just show. We also had an experiencer art gallery set up in a local public school auditorium where, on Sunday, we closed the event with a conference and some live music–a bit of everything. I coordinated all of these events at all of these locations over the course of one weekend with no cell phone and no transportation. How, you may ask? Simple. I am a god. Of course no UFO festival would be complete without its controversy. To that end, we kinda, sorta broke the story of the Walter Haut Roswell memo found in Thomas Carrey & Don Schmitt’s book, Witness To Roswell. I didn’t think we did anything wrong. I hear they were pissed. I guess they wanted it to just sit in the back of their book going unnoticed or something, who knows? But Bill Birnes most certainly credited them during our press conference. Shortly thereafter I began podcasting. And podcasting. And podcasting. Anyone sick of me yet? I’ve hosted or co-hosted Paratopia, The Black Fridays, Book of Thoth, The Good Parade (formerly The Popcast Initiative), and The Lostcast. (Geez, is there nothing I won’t turn down?) But it all started with the Culture of Contact podcast. You’d think I did it to promote, say, the Culture of Contact. I didn’t. I did it because George Noory kicked me off of Coast To Coast AM. Long story. Funny story. Water under the bridge. I’m just writing it here for historical purposes. The fact is, I began podcasting because I never again wanted to be a powerless guest. So, really I should be thanking George. In 2008, Culture of Contact launched its second festival. themed “Myth is Reality,” only this time we branched out. Into New Jersey. Big mistake. While the production was lavish and the speakers/musical performances amazing, it was a bust. Crickets. More people showed up for our screening of War of The Worlds than anything else, I think. Again, we had major publicity. Front page of one of the big Jersey papers. And Time Out New York–which is THE magazine to find cool things to do in and around NY–made us their pick of the week. Not too shabby. But attendence? Shabby. I was so burned out at this point that I gave up my Culture of Contact podcast… only to be talked into doing Paratopia by my partner in crime, Jeff Ritzmann. 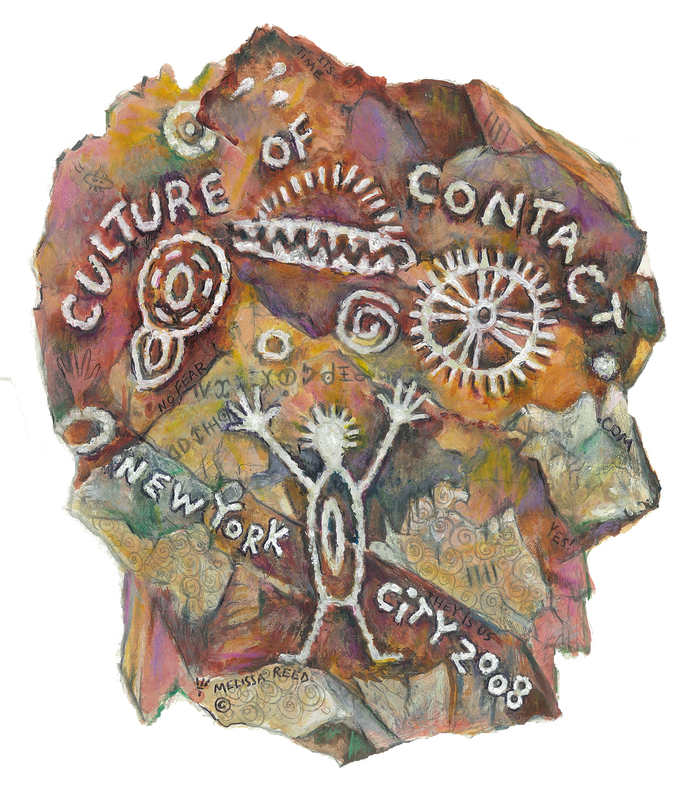 So, out of the ashes of Culture of Contact was born Paratopia. But, Culture of Contact lives on in its own weird way as an activist name. We recently helped to raise funds and awareness for the Kogi elders’ trip to New York from the Sierra Nevadas in Columbia. 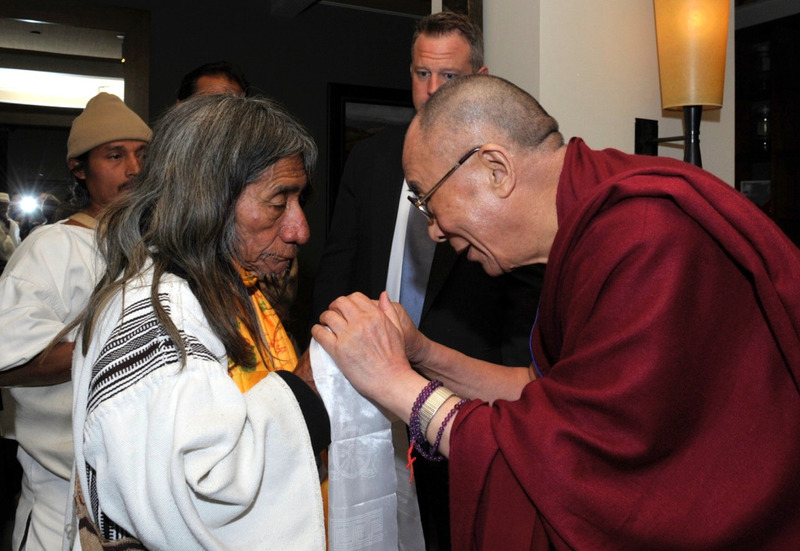 I don’t know how big a role we played in getting them here to do energy work in Upstate New York and meet with the Dalai Lama, but we did what we could. That it was anything at all is pretty amazing for a small group of people affected by an unknown presence manifesting in their lives in different ways. I mean it’s either conferences or the nut house. Am I right, people? Am I right? Stop Tryin’ To Categorize Me, Man!